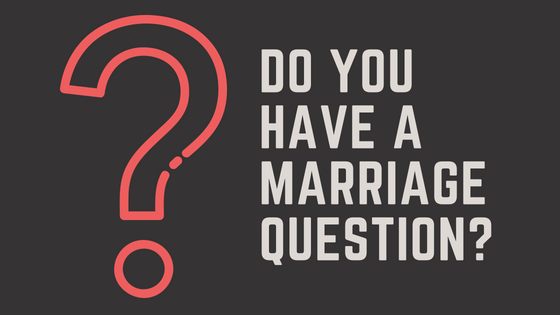 Do you have a question regarding marriage that you'd like to ask someone about? Maybe it's about finances. Or maybe it's about marital intimacy. Maybe you've had an ongoing conflict with your spouse about something that you just don't know how to resolve... marriage is hard, but we want to do it well, don't we? A good marriage takes time, effort, prayer, and also counsel from others who have been at it longer than us. We want to help by allowing our readers a chance to submit an anonymous question regarding marriage for our marriage counselors to answer! In the coming days, we will be posting answers to your questions on our blog page. Stay tuned! Here's to thriving and God-glorifying marriages!